It was surprising to notice that, with the arrival of We Bought a Zoo, it had been six years since writer/director Cameron Crowe had graced theaters with a new fictional film, spending the time working on a pair of music documentaries. It's even more surprising when you consider it's been 11 years since he gave us the classic Almost Famous (with the less memorable Vanilla Sky and Elizabethtown coming in the interim.) It's entirely possible that a generation has come of age without seeing Crowe as an important voice in film, an idea that's hard to believe when considering the man brought us so many iconic moments and characters. Unfortunately, his return with We Bought a Zoo is unlikely to change that, coming off as a touching film, but not anywhere near the heights of his great successes. Based on the true story of a newspaper columnist who bought a zoo in England to bring it back from the brink, We Bought a Zoo transplants the zoo to California, and in Disney-like fashion, makes it a single-dad tale, as adventuring writer Benjamin Mee (Matt Damon) tries to find a new home to help stabilize life for his kids. The home he finds happens to be connected to a failing zoo, a challenge he can't help but take on, hoping the experience will bring his troubled family together. Unfortunately, the cost of fixing the zoo is bankrupting him, and his brooding son Dylan (Colin Ford) is being driven away from his dad by having to live in the country, far from his friends. 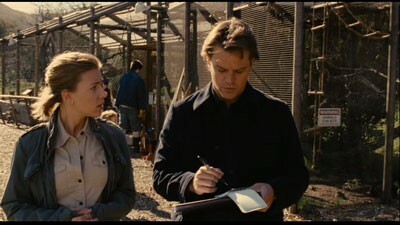 For Mee, life at the zoo isn't all bad, as the lead zookeeper, Kelly (Scarlett Johansson) isn't hard on the eyes (even if he's not ready to move on), and his seven-year-old daughter Rosie (the adorable Maggie Elizabeth Jones) is happy amongst the animals. Even Dylan finds a friend in farm-girl Lily (Elle Fanning) who falls for him quickly. The money crunch threatens to derail everything though, and Mee's brother Duncan (Thomas Hayden Church) tries to talk him out of chasing this costly dream. The path the film takes is pretty standard us against the world material, but it's entertaining along the way. Much of the credit goes to the cast, which is one of the most appealing you could pull together, from the leads (especially Damon, who plays average guy charm like it's a cello and he's Yo-Yo Man) to support roles for Angus Macfadden, John Michael Higgins and Patrick Fugit (returning to a Crowe movie for the first time since Almost Famous.) Under the command of Crowe, everything comes together like an emotional smoothie, with no lumps other than those that might catch in your throat. Crowe is a master at creating touching, nostalgic-looking moments, and he's got them in spades here, aided by cinematographer Rodrigo Prieto. Unfortunately, the story doesn't offer up any real surprises, so you're just along for the ride, enjoying the sights until you arrive exactly where you expect. Despite that, Crowe does manage to throw in a few moments that will stick with you when the final credits roll, and they are dripping with pathos, to the point where one scene was actually shocking in its emotional punch. Unfortunately, it's not well integrated into the story, and as a result feels like an add-on in an attempt to get one more pull on the audience's heartstrings. The film arrives on one disc, in a standard-width keepcase. 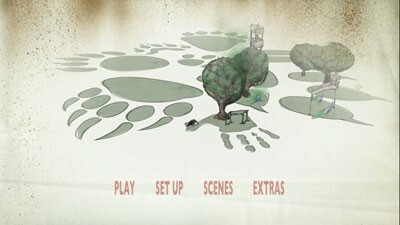 The disc has an animated, anamorphic widescreen menu with options to play the film, select scenes, adjust the set-up and check out the extras. Audio options include three English tracks (5.1 Dolby Digital, Descriptive Audio 5.1 and a family-friendly 5.1 Dolby Digital) and Spanish and French stereo tracks, while subtitles are available in English SDH and Spanish. The anamorphic widescreen transfer is as good as one can expect from a SD DVD release, presenting Crowe's gorgeously composed images without a complaint-worthy problem, as the colors are appropriate. whether it's a blue-tinged rainy day or a amber-hued sunny scene, and the level of detail is quite high, seen best in the loving shots of the film's many animal stars. The black levels are solid across the board, and there are no issues with digital distractions, making for a quality viewing experience. The Dolby Digital 5.1 presentation gives everything its moment to shine, be it the clear, center-focused dialogue or the atmospheric sound effects, which get definitely play when in the zoo. Of course, since this is a Crowe film, the music gets plenty of focus, whether it's Jonsi's score or the soundtrack featuring Temple of the Dog and Tom Petty. The surround speakers do a nice job of boosting the music, filling the room, when they aren't putting you in the middle of a zoo. The main bonus feature is a feature-length audio commentary with Crowe, actor JB Smoove and editor Mark Livolsi. You'll notice that I didn't mention Smoove in my review, because he has a very minor role (even if it is pivotal to the plot) so he's an unusual choice for a commentary, but it wasn't done randomly. Smoove brings his experience on the set to the track, while seeing the film for the first time, so he has a unique perspective. He's also rather energetic and entertaining, which enlivens the commentary, though he does mess up flow of information a bit, making it more of a jokey affair than an enlightening one. At least it's good at what it decided to be. 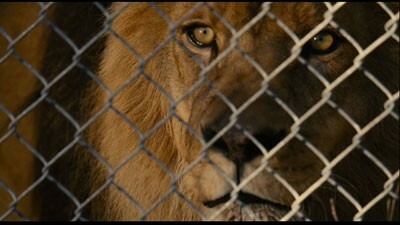 There's also a 23-minute featurette "It's a Zoo," which focuses on the animals that worked on the film, via interviews with their trainers and the cast. It's nicely in-depth, covering lots of angles about filming with bears, monkeys and more, though it would have been nice to get some perspective from Crowe, who is seen just briefly in the piece. There's also a sneak peek for the next movie in the Ice Age series, which takes the form of a short film following Scrat's continuing hunt for acorns. When Cameron Crowe is involved, you know the resulting film will have heart and humor, it'll have a great soundtrack and it will look fantastic. Unfortunately, it's also become increasingly likely that his films won't grab people the way they once did. That said, We Bought a Zoo is a highly-polished bit of comedy/melodrama filled with talented actors that's worth at least one viewing, especially for those who count themselves as fans of Crowe's, as the presentation is solid all around and the few extras are entertaining and deep. One wonders what Crowe could do though if he tackled the work of another writer, focusing on the parts of filmmaking that are his obvious strengths.